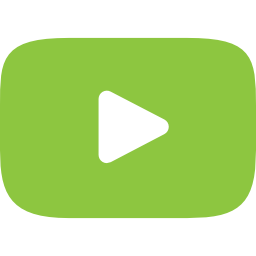 Our mission is to deliver high-quality environmental education to facilitate the sustainable management of land, water, wildlife, and other natural resources in all places people live, work, and play. The healthy functioning of our planet's ecosystems -- our air, water, and land, and the vast diversity of life on Earth -- is worth preserving. There are places on Earth where human activity should be limited. Maintaining healthy and functioning ecosystems begins at the local level with policies and practices that protect watersheds, promote biodiversity, and sustain natural resources. Not only must people take steps to minimize negative impacts to the environment in human-dominated areas of the world, but also strive to enhance the health and functioning of ecosystems where we live. Finding a sustainable balance among environmental, economic, and social systems is key to sustaining the quality of life for all of Earth's inhabitants. Our human communities can and must be balanced within the limits of the natural world. By becoming good stewards of the environment, people and organizations can help to protect and sustain the land, water, wildlife, and natural resources around them. Scientific information, in conjunction with public participation, should be used to guide the planning, design, development, and management of human communities. While laws, rules, and regulatory approaches have been, and can be, important tools for protecting and enhancing our natural environment (ecosystems), voluntary efforts are an effective and essential means to protect and enhance the natural environment as well. Effective collaboration and partnerships among nonprofits, governments, businesses, and the public can lead to better environmental decision-making and can improve the quality of our human and natural communities. Like other "Audubon" organizations, Audubon International takes its name from John James Audubon (1785-1851), the world-renowned ornithologist, naturalist, and artist. In 1987, the Audubon Society of New York State was born, or perhaps more accurately, reborn. First established nearly 100 years earlier by conservation giants Theodore Roosevelt, Frank Chapman, and John Burroughs, this original Audubon group from New York ceased meeting by the mid-1930s. Nearly five decades later, Ronald G. Dodson re-instated the charter as a 501(c)(3) not-for-profit under a broader banner of environmental education and sustainable resource management. Very quickly, the reach of the environmental education and certification programs designed to help further that mission expanded beyond New York. As a result, in 1996, the organization began doing business as Audubon International to better reflect the true scope of its operations. Audubon International is still incorporated as the Audubon Society of New York State. Although we have no formal affiliation with the National Audubon Society or the other 500-plus Audubon organizations worldwide, we work with and partner with many of these groups to promote common goals. Through education, technical assistance, certification, and recognition, Audubon International facilitates the implementation of environmental management practices that ensure natural resources are sustainably used and conserved. Several of the organization's longstanding environmental education and certification programs have received national awards. Audubon International is able to positively impact environmental health at multiple geographic scales, including individual properties, communities, and ecoregions. In fact, throughout its history, Audubon International has enrolled over 3,000 properties (including golf courses, cemeteries, ski areas, housing developments, hotels, and many others) and communities in its rigorous certification programs. The organization has been successful due in large part to its successful relationships with a wide range of interested partners, including small businesses, large corporations, academic institutions, fellow not-for-profits, community associations, local governments, and state and federal agencies. Since 1991, the United States Golf Association (USGA) has served as a strong supporter of Audubon International's sustainability efforts in the golf industry, and this has included providing over $2 million in financial support to offset fees associated with administering the Audubon Cooperative Sanctuary Program for Golf Courses. Hollyhock Hollow Sanctuary was the home and headquarters for Audubon International for 20 years, until the organization moved to Rensselaer Technology Park in early 2013. Located at 46 Rarick Road, Selkirk, NY, the sanctuary was the former estate of Leona and Robert Rienow, Ph. D. A professor at the State University at Albany, Dr. Rienow was the co-author of several books on government and the environment, and a leader among early environmental advocates. Upon his death in 1988, the sanctuary was bequeathed to Audubon International and was converted into a preserve and public-use area for passive recreation. 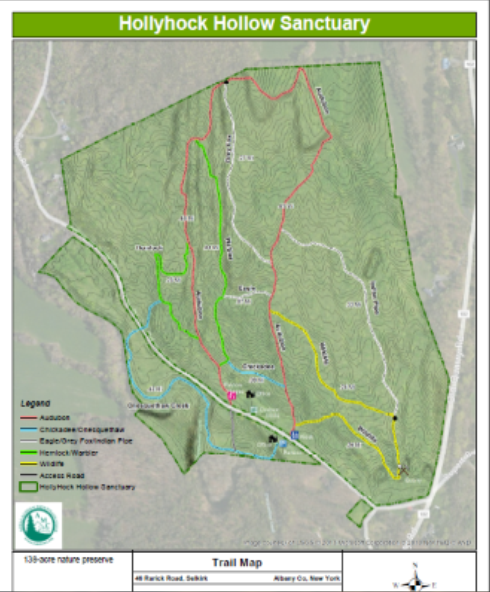 With over 140 acres of natural beauty, hiking trails, and distinctive geology carved out by the Onesquethaw Creek, Hollyhock Hollow Sanctuary is a much-loved natural resource for the public that is managed in a way that aligns with our mission and the Rienow’s intent. About twelve miles from Albany, NY, the sanctuary serves as an outdoor classroom for the nearby schools, as well as a recreational space for hikers, cross country skiers, artists, and scout groups. Whether you’re planning to explore the unique features of the area or are simply looking to take a long, quiet walk, visitors are welcome every day from dawn until dusk. 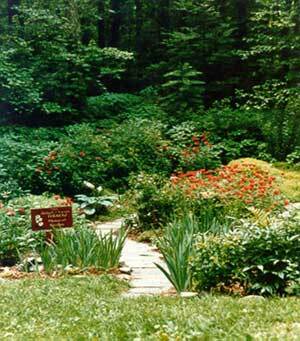 Just minutes from Albany, NY, Hollyhock Hollow Sanctuary is easily accessed from many routes. From I-87, the NYS Thruway, take exit 22 for NY-144 toward NY-396/Selkirk. Turn right onto NY-144 S/River Road. Take the first right onto NY-396 W/Maple Avenue. Keep right at the fork and continue to follow NY-396 W for about four miles. Turn right onto Co Rd 102/Old Quarry Road. Take the second left onto Rarick Road and continue for a third of a mile. From Albany, take US-9W S and merge onto NY-32 S/Delmar Bypass via the ramp to Delmar. Follow NY-32 S for about three miles. At the third traffic light, turn left onto Co Rd 102/Old Quarry Road and continue for three miles. Turn right onto Rarick Road and continue for a third of a mile.